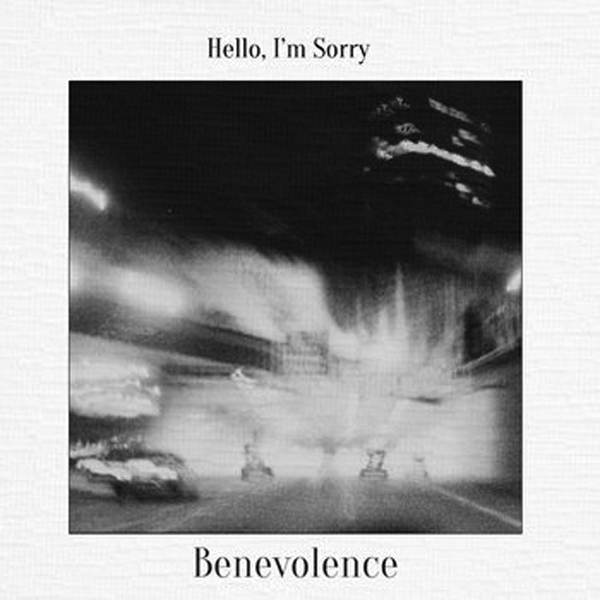 Benevolence is the sophomore, full-length release from local indie/surf/garage rockers Hello, I’m Sorry. Consisting of eight new tracks, the album is equal parts Yuck (Glow & Behold), The Orwells (Disgraceland), and Real Estate (Days), with a hint of Cloud Nothings (Turning On). To put it bluntly, Benevolence is the best local release of the past year – from the minimalist black and white cover art to the low-fi recording/production, the album is solid all the way through. From the opening chords of “Be Okay” (track 1) to the final crooning of “Coral Blue” (track 2) Benevolence doesn’t just grab your attention: it demands it. The songs are abrasive enough to have personality and catchy enough to be played on repeat, no matter the occasion – imperfect and unforgiving. With not one of the tracks lasting longer than three and a half minutes, the record is boiled down to the necessities and thus lacks any of the self-indulgent add-ons that have been the death of many low-fi productions. Truly the only way this release could be quantified as incomplete or lacking is that it only includes eight songs. Hello, I’m Sorry hasn’t redefined low-fi indie rock, but they’ve created an album that’s unique enough to set itself apart while nonetheless feeling perfectly familiar. Take a few minutes, put down this What’s Up!, get on your computer and download this record.